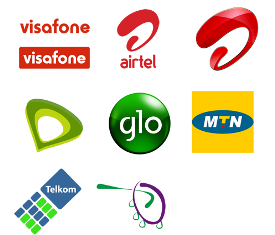 Telecommunication companies in Nigeria are currently making plans to review the price of data and call tariff upward by 100%. The telecom subscribers in the country will pay more for telecom services if the industry regulator accedes to telecom operators’ demand for 100% increase in prices of data and voice calls. According to an insider with NCC on anonymity, said telecom operators had been making a case for price increment since the first quarter of this year. He said they complained of rising cost of production and that they could no longer carry on with current call and data prices. … most consumers now spend less on telecommunication services, especially voice calls, compared to previous years. In the last 10 years, a drastic reduction had been recorded in call and data tariffs. On-Net and Off-Net per minute tariffs which now stand at N12.01k and N12.64 respectively used to be N24 and N75.30k. Due to the current economy crisis and the rise in the usage of OTT service like WhatsApp, Viber, Skype over traditional network, telcos have been finding it increasingly difficult to make ends meet. If NCC agree to their terms, subscribers will now pay close to N24 per minute and about N2,000 for one gigabyte of data per month, from N1000 currently being charged by most operators.